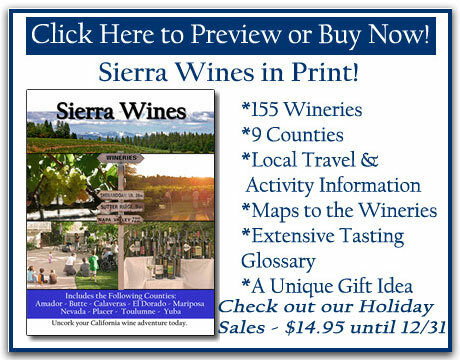 - Now you can take it with you -Sierra Wines the Book is here! -Everything you can find on the website and much more! -Five 2008 wine competitions added! Want to talk to people about the wine you love? Sign up on our forums for free and talk with some wine experts and wine lovers just like you. Talk to wine enthusiasts from around California. Share your experiences and ask questions of other enthusiasts. Comics and short stories about life in Wine Country featuring our hero, Joe Gambaro, a fourth generation California winemaker. Foothill Services Directory: Information on places to stay, places to eat, local businesses and entertaining.